We’re T-Minus four days to the release of the iPad, and amidst all new app sneak peaks and iBooks screenshots floating around on the Web, Apple is doing some extra prep work of its own. On Tuesday, the company released iTunes 9.1, bringing iPad support to the company’s multimedia jukebox software, and improving support for Genius Mixes. The update (available only via Software Update when this story was posted) adds support for iPad syncing. If you’re one of the lucky ones getting your hands on a shiny new iPad this Saturday, you should be able to sync music, movies, TV shows, books—and more, according to the release notes—to your Mac or PC right away. 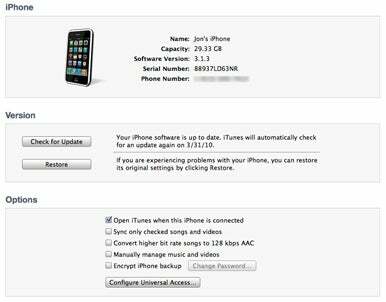 iTunes 9.1 also brings the iPod’s shuffle’s option to create 128-kbps AAC files on the fly when syncing to iPhones, other iPod, and (presumably) iPads; plus, it cleans up the Summary page for connected devices. The new Summary tab page with 128-kbps AAC conversion option. The update also adds organization and sync for iBooks, though the iBookstore is not yet available for your perusal. iTunes also now lets you rename, rearrange, and remove your Genius Mixes.